founding the music program at stART Osceola, directing the Summer Advanced Institute at Seattle JazzEd, teaching in residence at Jazz St. Louis, and serving as an ambassador for Jazz at Lincoln Center’s “Jazz for Young People” program in New York and St. Louis. He has facilitated master classes in Brazil, Mexico, and across the United States. 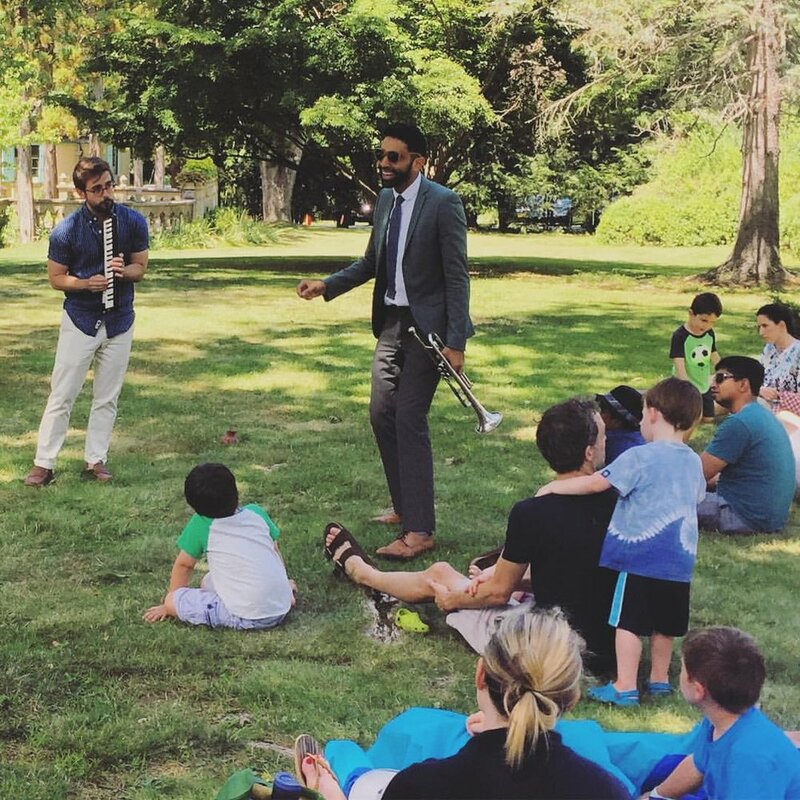 Riley is currently touring two interactive educational offerings: Riffin’ with Riley, which premiered at the Caramoor Jazz Festival in 2016 for ages 1-10, and A Recipe For Jazz, which premiered at the Joye of Aiken Festival in 2018 for grades K-8. Riley is also available for high school and college masterclass bookings. Please contact booking@rileymulherkar.com for all educational outreach inquiries. A high-octane interactive performance guiding students grades K-8 through the ingredients of jazz music: swing, improvisation, and the blues. Heroes including Louis Armstrong, Duke Ellington, and Bessie Smith are illuminated alongside lessons in teamwork, perseverance, and freedom as Riley leads the audience through a feel-good journey in jazz. An introduction to the feeling of jazz! In this interactive concert for children ages 1-10, Riley introduces the instruments of the band as they come together to create the groove that makes you move: swing. Get ready to tap your feet, snap your fingers, and have a good time as Riley starts riffin’!